Tibbie’s Brig (NS 689 258) was built in 1793 as a crossing point on the Garpel Water to replace the ford which had been used up until then. Although originally called simply “Garpel Bridge”, it was later renamed to commemorate Isabel “Tibbie” Pagan a local poetess who lived in Muirkirk and was an acquaintance of Robert Burns. Today the pool beside the bridge is a favourite spot for locals to swim in and there is a small monument to Tibbie on the river bank. A network of way-marked footpaths in the area allows adventurous birders to extend their explorations to the surrounding moors, hills and glens. A leaflet is available from information centres or visit www.ayrshirepaths.org.uk. The bridge is reached via a small track from Kames just to the south of Muirkirk. There is a small car park there with an information board which has details of the track on it. Kames is reached by turning off the main A70 road in the middle of Muirkirk just beside the Coachouse Inn; there’s a signpost for Kames Race Track, golf course and caravan park. Unsurfaced track, muddy in places. Closed wooden gate (unlocked) part way along track – becomes steep close to bridge. The habitat around Tibbie’s Brig is a mixture of heather moorland and rough grazing typical of upland areas in Ayrshire. The moorland extends up on to the slopes of Cairn Table and Wardlaw Hill. There are small grazing areas enclosed by drystane dykes and a few stands of shelter-belt trees. On the Garpel Water, Dipper and Grey Wagtail are easily seen, Common Sandpiper should be looked for on exposed shingle and Kingfisher at the quieter pools. Swallow nest under the bridge in the summer and Sand Martin can be found nearby. The surrounding moorland has lots of Red Grouse – Curlew, Oystercatcher and Dunlin also breed. Kestrel and Buzzard can be seen anytime, Merlin and Hen Harrier are strong possibilities and you should keep an eye out for Peregrine over the hillside. Stonechat, Whinchat and Wheatear can all be encountered in the vicinity and the trees are always worth checking for Siskin, Redpoll and Bullfinch . The area attracts Willow Warbler, Chiffchaff, Spotted Flycatcher and Goldfinch in the summer and in the winter can host spectacular flocks of Redwing and Fieldfare . This area is rich in social as well as natural history, on the way to Tibbie’s Brig it is worth stopping to have a look at Macadam’s Cairn, built in memory of the famous pioneer road builder John Loudoun Macadam. There are numerous Neolithic and Bronze Age sites on the moor and surrounding hills as well as several “Martyr’s Graves” which are testament to the importance of Muirkirk in Covenanting times. A regular bus service runs from Kilmarnock and Cumnock to Muirkirk. The X76 leaves Kilmarnock bus station on the hour each hour during the day and from Cumnock at 45 minutes past the hour. The return service leaves Muirkirk at 15 minutes past each hour until 5.15pm, there are three later buses the last of which leaves at 9.48pm. 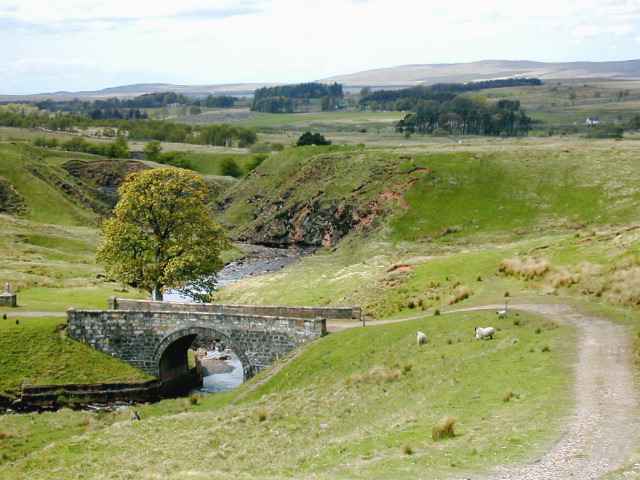 Although most of the sites mentioned around the Muirkirk area can be reached on a mountain bike, walking is by far the best option to explore the locality. If you do plan to cycle on the roads around Muirkirk watch out for open-cast mine traffic!